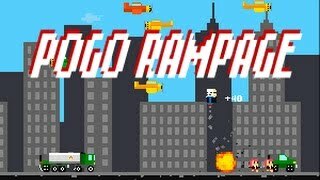 Click on the Play Button and 'Pogo Rampage' will start after this message... Thanks for waiting! I've never played this game before, It's the super awesome game ever in the whole world.